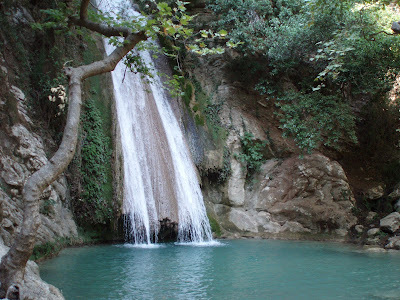 There are many things to do, when camping in the Western Peloponnese region. Check out the map below for our short trip proposals. A.Tholo:Tholo is a small village of about 50 people. However there are beach bars, taverns and café’s. The landmark of the village, the old train station, stands abandoned with the hope that it will be back in service soon again. Apart from the national road, small local roads connect Tholo with the neighbouring coastal villages of Yiannitsohori to the south and Neochori and Kakovatos to the north, and therefore the ability to walk, have a ride by bicycle or even go hiking. B. Zacharo The urban centre of the region 8km north on the E55 national road, is the town of Zacharo that has a variety of shops, super markets, cafés, banks, and a post office. An open air market every Tuesday morning is always an interesting experience. Nice small villages around, with hidden beauties, traditional taverns and places waiting for you to discover. We can give you the tips! C.Kyparissia In the south, about 22km away, is the coastal town of Kyparissia. It is a picturesque place, with a traditional old town up the hill near the castle. Also there is a vibrant seaside with bars, restaurants, a water park and a newly built marina. Again, it can be combined with the Saturday morning open air market. D. Pyrgos / E. Katakolo Pyrgos is the capital of the prefecture of Elia, 40 km north of Camping Tholo Beach. It is on the way to Patras Port using the E55 National Road. Not convenient for Camper cars and Caravans because of narrow roads, but if you are by car, a stop to visit the local newly opened Museum, a walk at the central square and a coffee at the numerous cafes, can make the stop worthwhile. Another tip is a short 10 minute drive to the cruise port village of Katakolo, which can offer you nice views of the Ionian Sea, cool breeze by the sea and quality local taverns. F. Ancient Olympia Not much for us to go in deep about this place. The birthplace of the Olympic Games, the original Olympic Stadium and the interesting museum make it a must day trip during your stay at Camping Tholo Beach. Make sure you go early in the morning to visit the open air site first and as the day advances enjoy the air conditioning inside the museum. For more tips don’t hesitate to ask us! G.Apollo Temple The temple of Apollo in Vasses, is about 40 km of not so easy road in the mountains of Peloponese. Accessible by camper or even by bus, it is worth all the way. The first monument in Greece to be added in the list of UNESCO in 1986 gives a breathtaking experience, even though it is protected by a cover for many years now. Once there, it is also worth visiting the town of Andritsena, a traditional mountainous town with interesting architecture and one of the oldest libraries of the Modern Greek state. H. Neda Waterfalls About 40 minutes drive from Camping Tholo Beach (ask us for the most convenient way) you can find the amazing waterfalls of Neda. Take your water or soft drinks, put on your trainers, hat and swimsuit and prepare for a once in a lifetime experience in the magnificent nature of Peloponnese. I. Kaiafas Lake The lake of Kaifas is situated only a few km north of Zacharo, just by the national road. The landscape with the mountain of Lapithas standing right over the lake, the small river-like connection with the sea and the sandy beach, along with the Thermal Springs make it an interesting place to see. J. Kopanaki The village of Kopanaki is less than half an hour away from Camping Tholo Beach, in the direction of Kalamata. The interesting thing about this village is the big Sunday morning open air market.